Courtesy of BHHS Nevada Properties, Ivan G Sher. The newest modern Mediterranean designed residence by GLH with spectacular city views in Southern Highlands. At 11,400 sqft this private estate has a 9 car garage w/fully integrated Tesla Power System and Tesla Car. Plan offers up to 5 bedrooms,office,ultra lounge,theater, sleek bar w/transparent wine room,private hideaway master retreat with spa inspired bath,Couture style closets,culinary master style kitchen,automation,resort pool/spa. 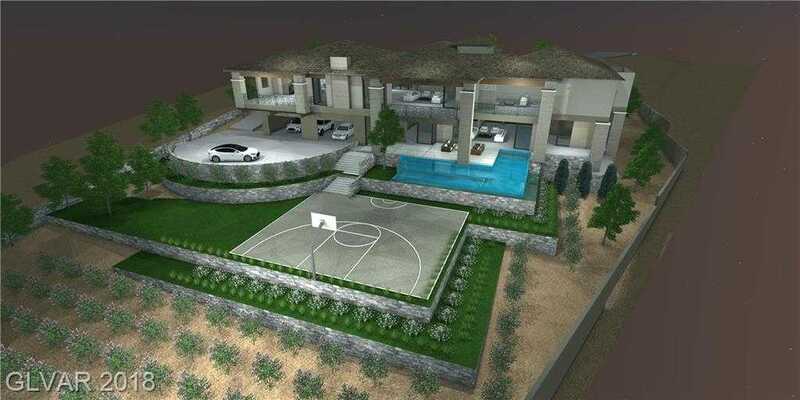 Please, send me more information on this property: MLS# 2036501 – $6,300,000 – 12 Shadow Canyon Court, Las Vegas, NV 89141. I would like to schedule a showing appointment for this property: MLS# 2036501 – $6,300,000 – 12 Shadow Canyon Court, Las Vegas, NV 89141.